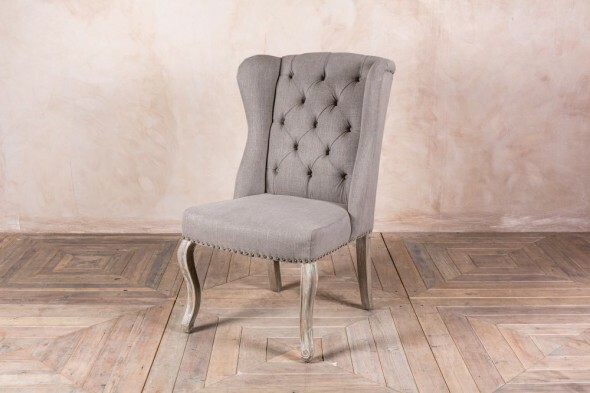 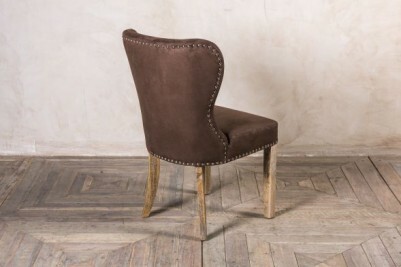 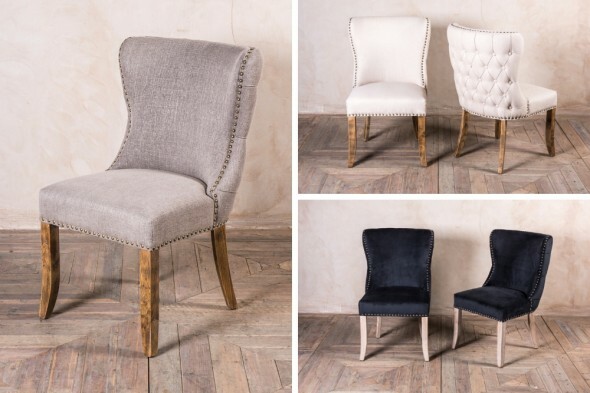 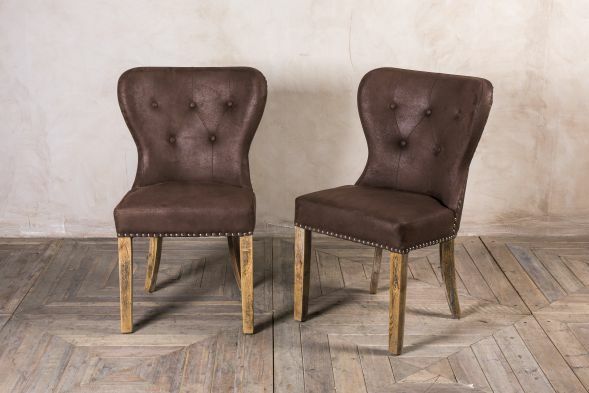 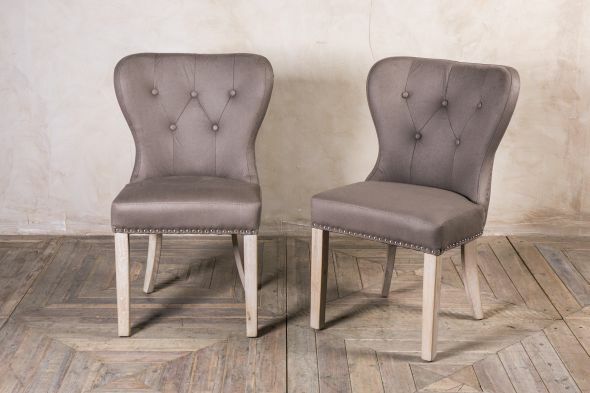 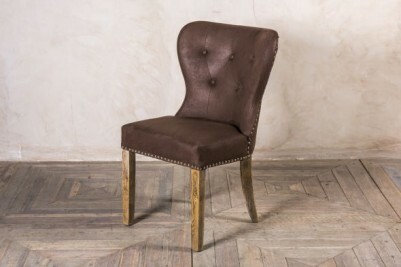 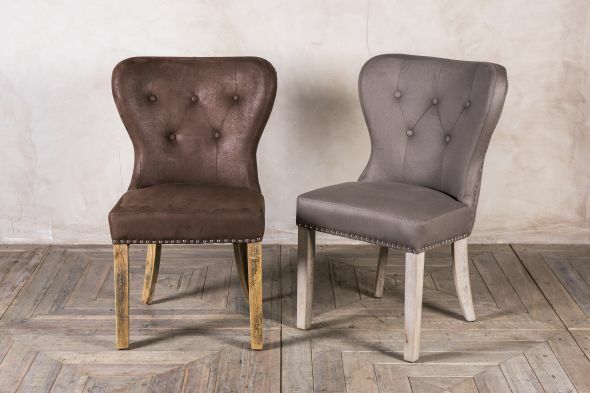 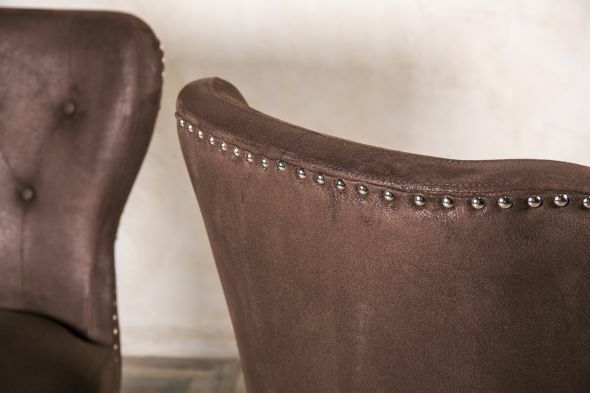 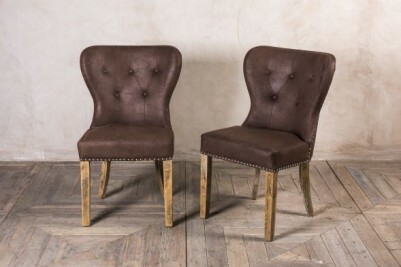 Revamp a restaurant, bar or your own home with these classic upholstered dining chairs. 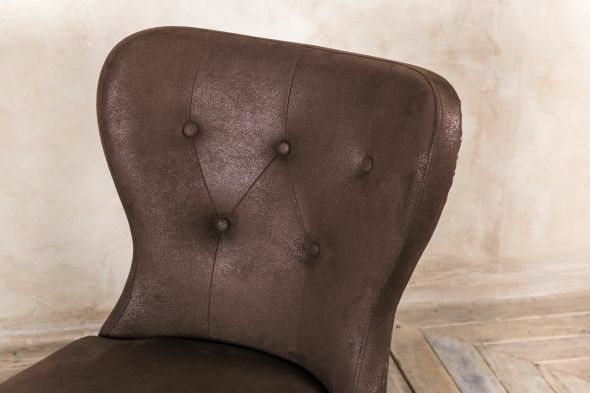 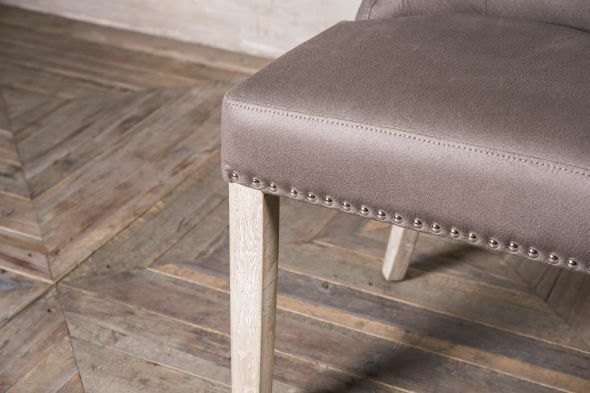 With a choice of two colours, you can go neutral and classic with cappuccino or choose dark, rich chestnut. 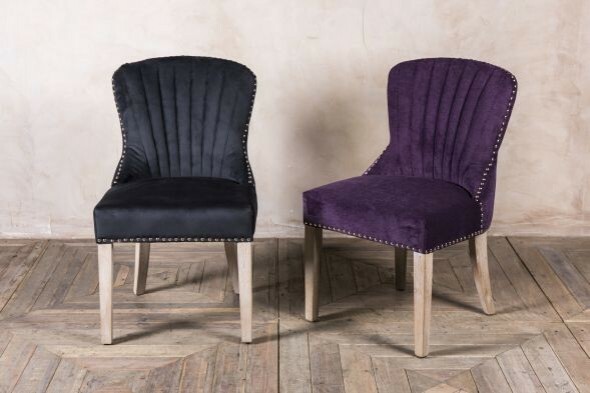 Both colours have a lovely feel to them and would give an elegant touch to your dining room. 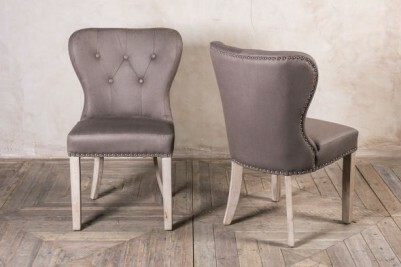 They would also look fantastic in a restaurant, bar or cafe. 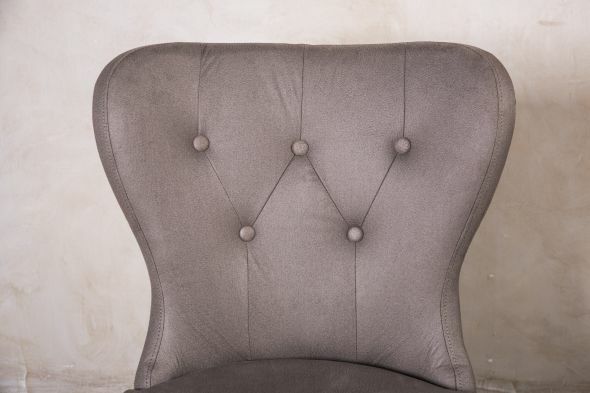 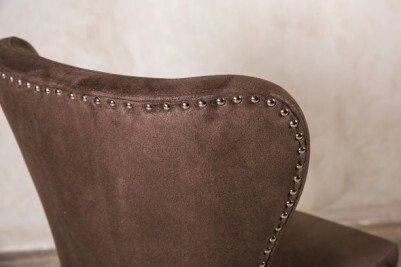 The backs of the suedette seats are wide-set for comfort and feature button detailing. 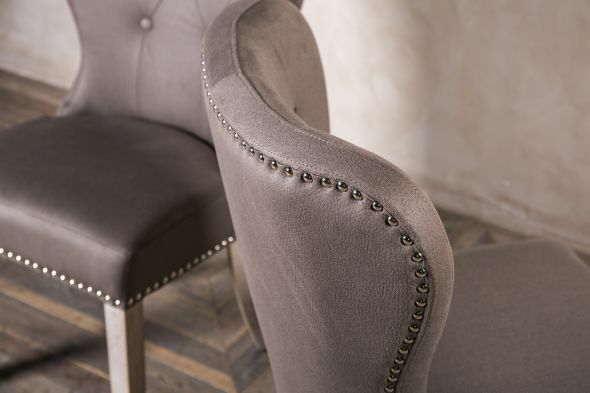 Beautiful silver studwork surrounds the chairs – running all the way around the bottom and the back. 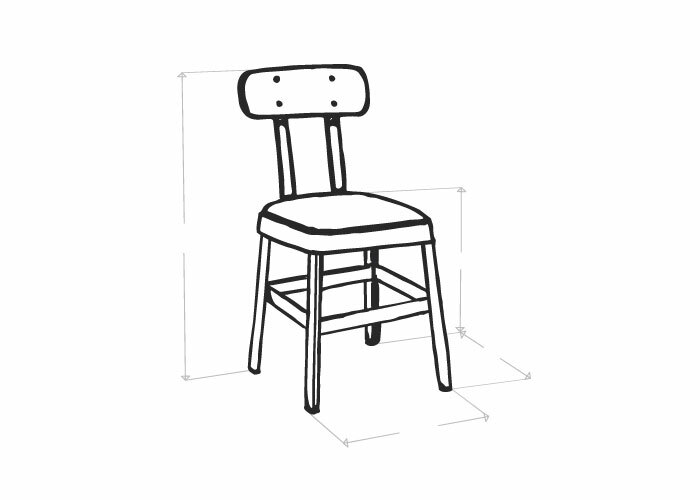 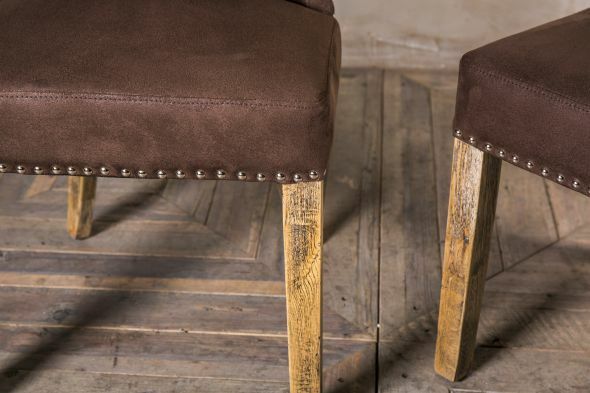 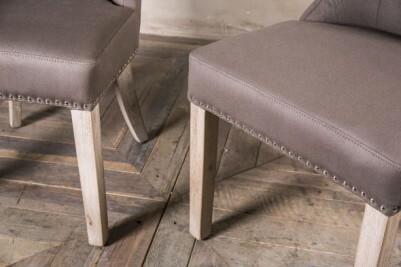 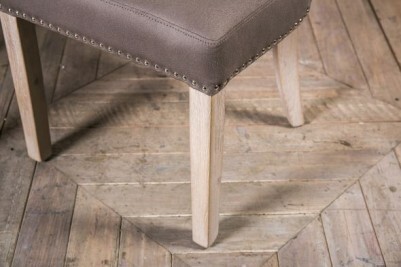 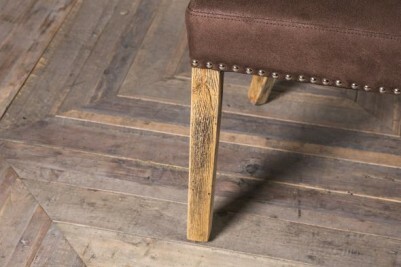 The legs of the chairs are made from oak and come in a different, complementing finish for both chair colours. Please note, this listing price is for one of our classic upholstered dining chairs only; however, we do have more in stock. 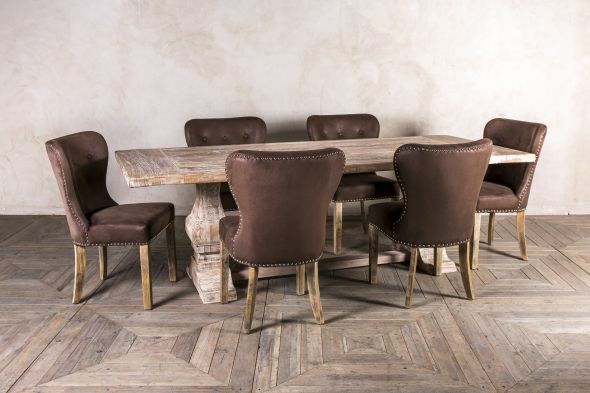 We also stock a range of dining tables; please browse our website or visit our showroom to find out more.